Wishing you a happy Easter from Everyone Active! 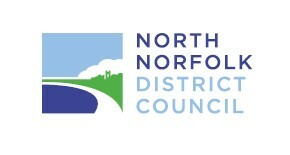 Welcome to Everyone Active: Everyone Active is excited to begin the management of this centre in partnership with North Norfolk District Council from Monday 1st April 2019. We look forward to welcoming you to the centre for your next activity! Download the Everyone Active App for the easy way to book activities, with all of your centre and profile information at your fingertips. Whether you want to swim, go to the gym, enjoy a fitness class or take on all three, Victory Swim and Fitness Centre has got you covered. In the six-lane, 25-metre pool hosts our award-winning swimming lessons, as well as fitness and fun swim sessions, while there’s also a fully-equipped gym to help you reach your fitness goals. The centre also boasts a group fitness studio in which we hold a wide range of different group fitness classes. In our fantastic swimming pool, not only to we host our award-winning swimming lessons, but it’s also available for use by those of you who like to use the pool to keep fit, while we also have family fun sessions available so the whole family can enjoy the water. Whether you’re a seasoned gym-goer or more of a novice, we’ve got everything you need to help you reach your goals. This includes state-of-the-art cardio, resistance and free weight equipment, while we also have personal trainers available to help you make those gains more quickly. We offer a wide range of group fitness classes that have been designed to suit everybody, whether you want to lose weight, tone up or enjoy something a little more relaxed, there’s a class for everyone here. Our award-winning children’s swimming lessons are perfect for swimmers of all abilities. We provide award-winning swimming lessons for adults of all abilities. A wide range of retail products available to purchase in centre. What activity type are you looking for? What time are you interested in? Any preference on indoor or outdoor areas? Timetables below show a full schedule of activities available in the different areas of the leisure centre at any given time. To see our Booking Terms & Conditions click here. Includes unlimited access to all of our facilities, proof of concession required on your first visit. Includes unlimited access to all of our gym facilities, swim sessions and group fitness classes. Includes supervised access to all of our gym facilities, swim sessions and group fitness classes. Can’t see a membership that suits you? We have more membership options for you at our centre.